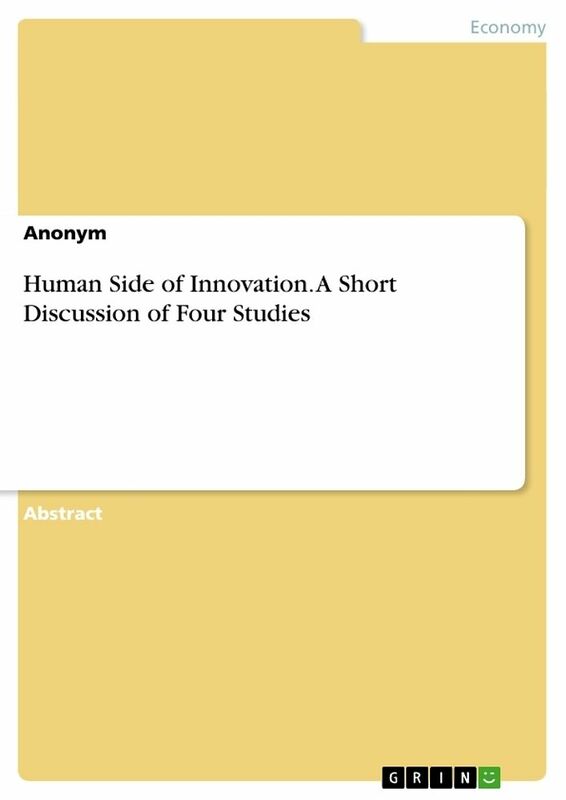 Abstract from the year 2014 in the subject Business economics - Personnel and Organisation, grade: 1,7, Technical University of Berlin, language: English, abstract: Depending on the industry and competitive environment, innovation and thus creativity can be crucial for company success, so that the question remains how a company can improve its innovativeness. This paper examines four research studies and four Harvard Business School case studies, in order to discuss this question. Herby the concentration is on the effects of leadership and the relationship between supervisor and subordinate on innovation and/or creativity.